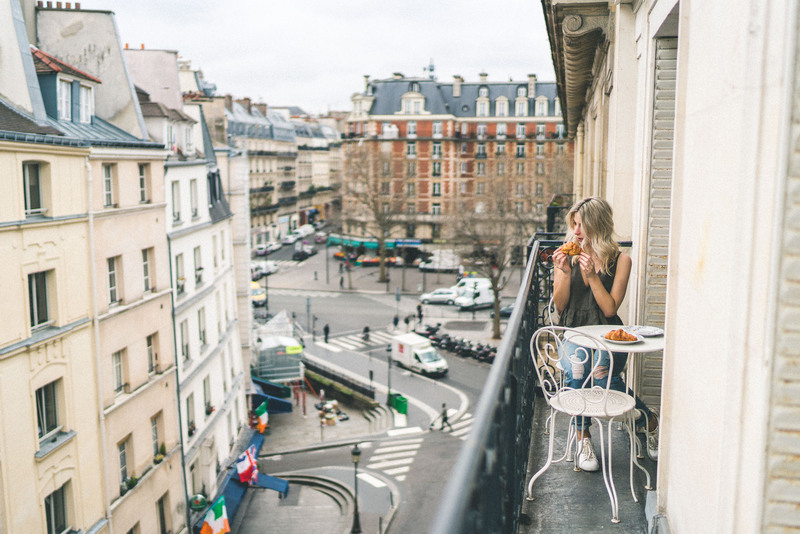 Hotel des Grandes Ecoles – located nearby endless bakeries and restaurants, this hotel is a welcome oasis with a courtyard in the middle of Paris. 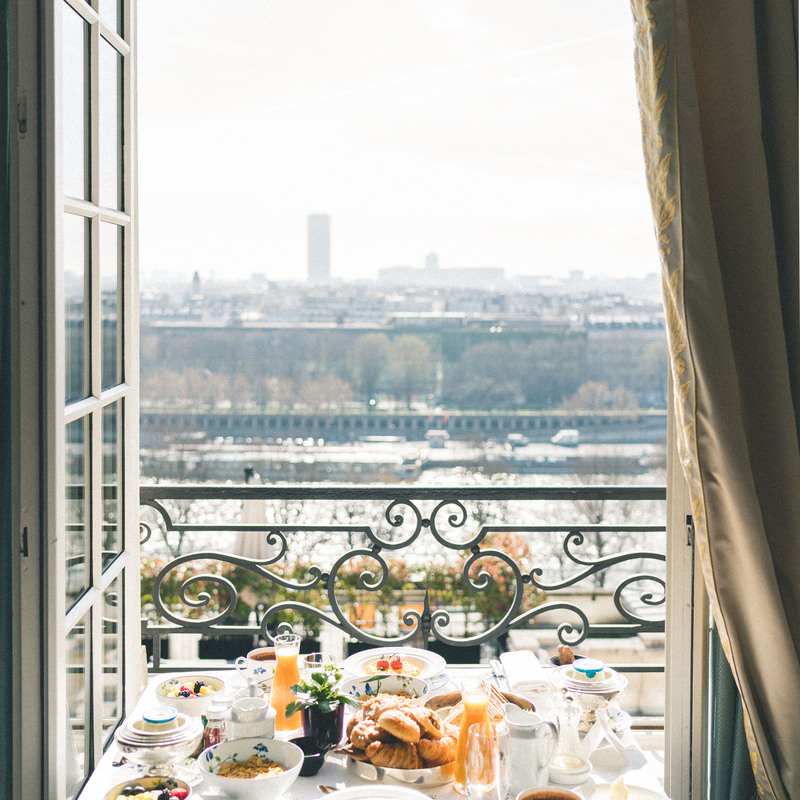 Shangri-La Hotel Paris – with views of the Eiffel tower, a breakfast and tea spread that will have you instagramming for days, and impeccable service, the Shangri-La is a once-in-a-lifetime stay for those looking to splurge. Hôtel du Petit Moulin Paris – this cozy and fashion-forward boutique hotel was decorated by the French designer Christian Lacroix and is just outside of the trendy Marais district. 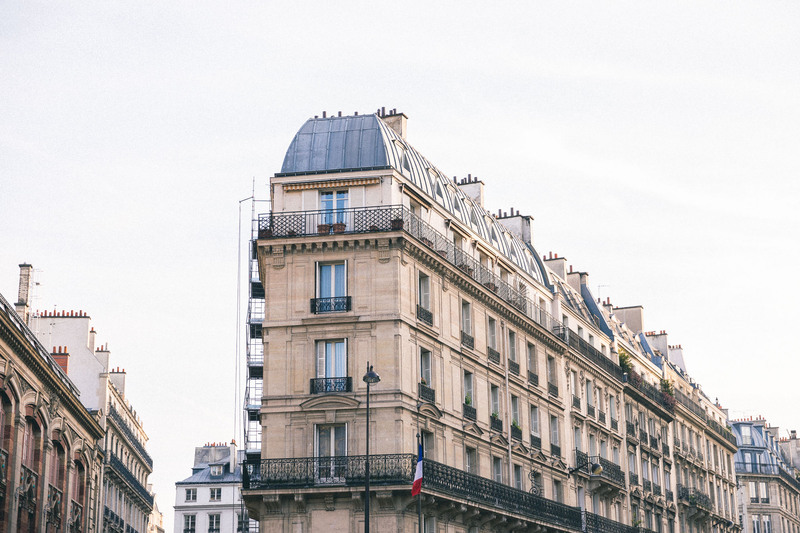 Airbnb – it’s easy to find an apartment overlooking a quaint side street in Paris thanks to Airbnb’s massive selection. 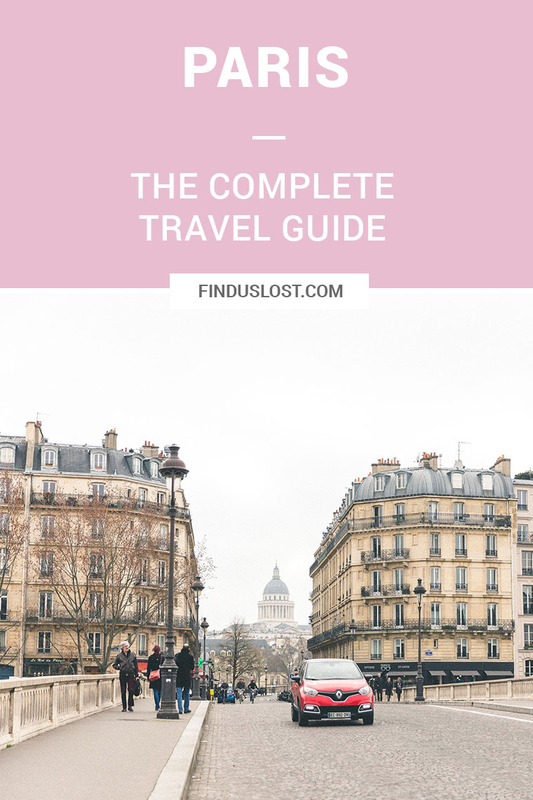 My tip: stay a couple days in Le Marais (it’s my favorite neighborhood), then switch to a different “arrondissement” for a completely new experience! Le Relais de l’Entrecôte – steak, fries, and an unforgettable sauce are on the menu at this local French spot. Arrive early, because the line grows out the door as the night goes on! Pierre Herme – if you love macarons, the fresh ones made daily at Pierre Herme are not to be missed. 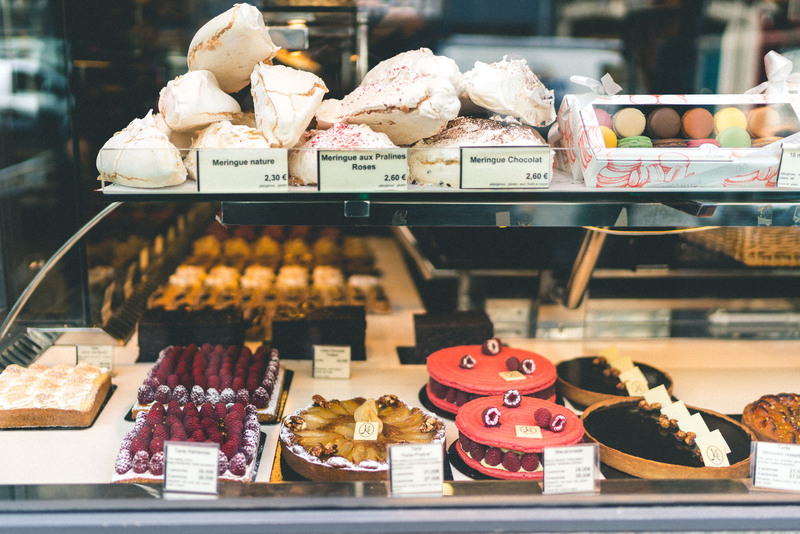 La Durée – did you really visit Paris if you didn’t stop at La Durée? I fell in love with their rose tea during my recent visit. Chez Janou – a cozy neighborhood café with typical French fare. My tip: order their chocolate soufflé, and they’ll bring out a large bowl and let you scoop it onto your plate until you’re full! 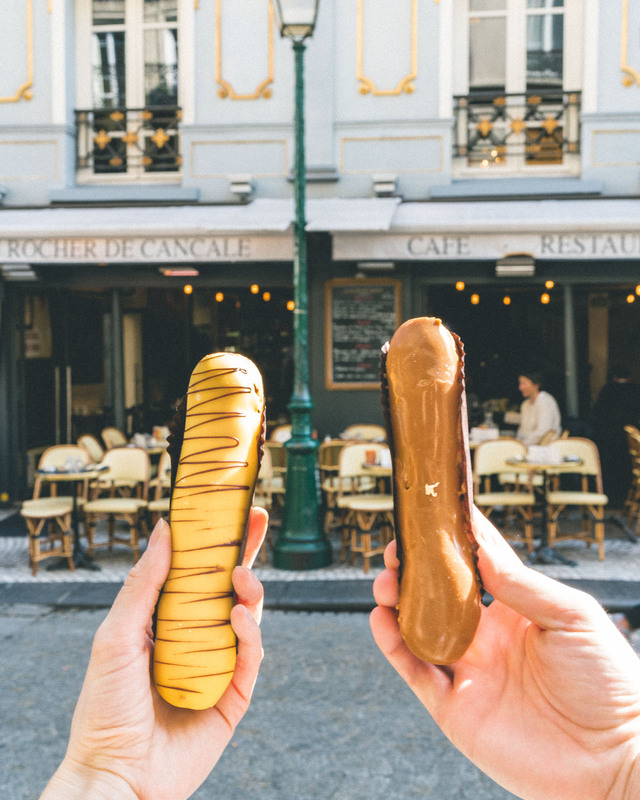 Stohrer – famous for its eclairs and homemade side dishes, Stohrer is a quaint bakery that oozes French charm. Frenchie Restaurant – Frenchie is high-end restaurant praised by locals and visitors alike. For the experience without the high price tag, grab a bite to eat from their casual concept next door, Frenchie To Go. Angelina – famous for its hot chocolate and Mont Blanc dessert, this restaurant is located across from the Tuileries Garden and a great option for a lazy afternoon tea time. 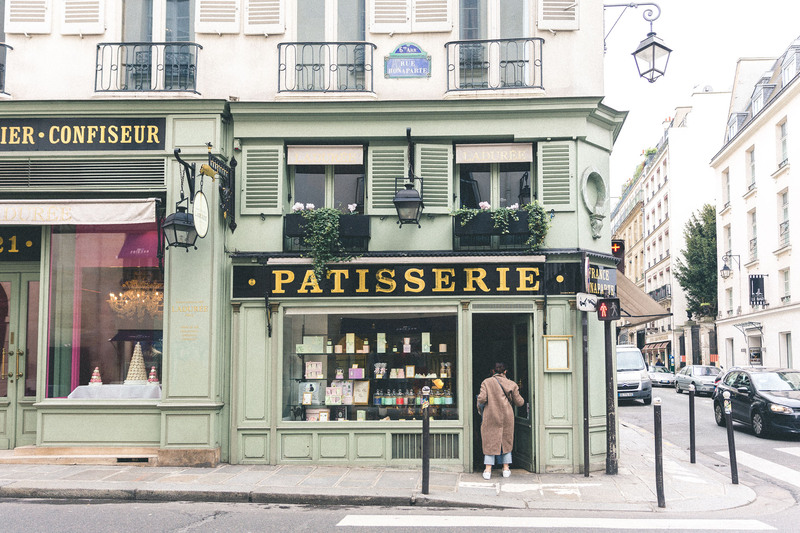 Eric Kayser – originally founded in Paris, Eric Kayser bakery gained so much popularity that it now has international locations in New York and Japan. My tip: stock up on pastries early and find a bench with a view to enjoy them! L’Elica – if you are looking for something other than French cuisine, this casual and tasty Italian eatery serves up an amazing truffle risotto. L’Avant Comptoir – perfect for pre- or post- dinner drinks, L’Avant Comptoir is a stand-up bar serving small dishes and tasty French and international wines. Bar Botanist – located inside the Shangri-La Hotel, this bar is inspired by Prince Roland Bonaparte’s fascination with botany (he was the hotel’s original resident when it was a palace!). All the drinks are made with fresh herbs and local products, and oh so delicious. 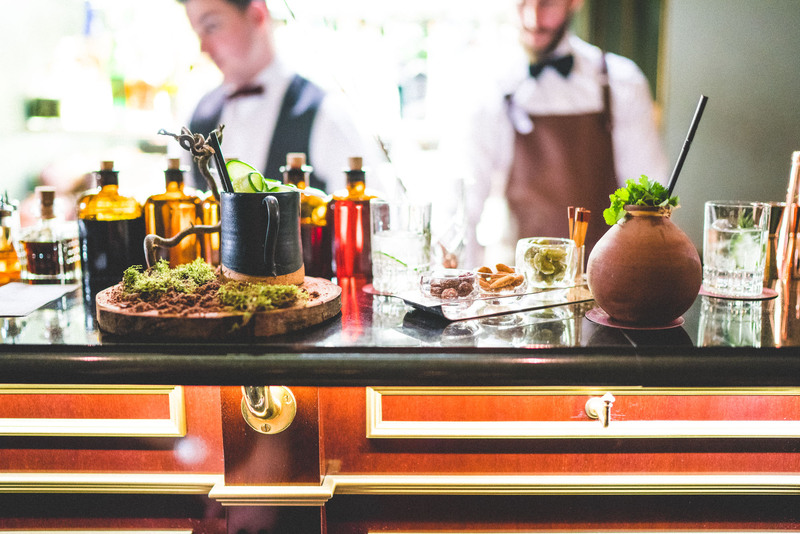 Pershing Hall – located just off the Champs-Élysées, this hotel bar is set in a historical building and known for its plant-covered wall and intimate, luxurious atmosphere. The Highlander – for something casual, this no-frills Scottish bar attracts international crowds and is always open late. 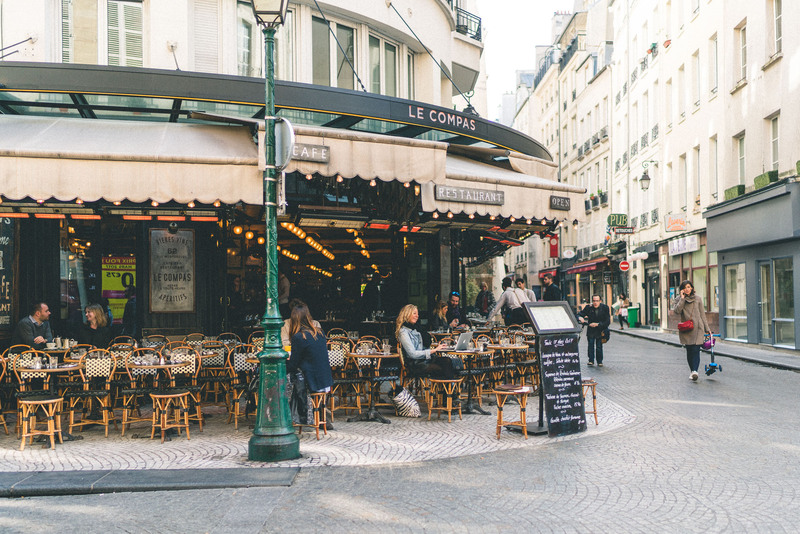 Cafés with outdoor seating – if you love trying all French wine (like me!) make a night of ordering a glass and sitting outside at multiple cafés. On a warm evening this is my favorite after-dinner plan. 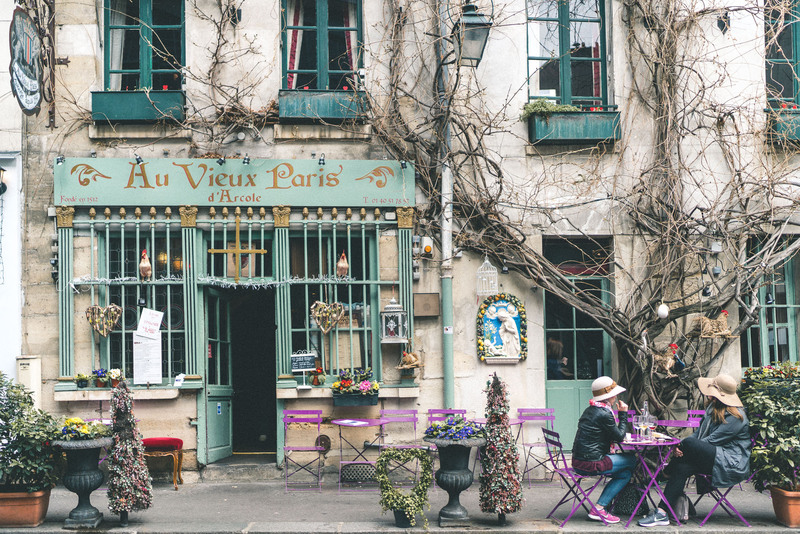 Montmartre – for an evening stroll or afternoon exploring the old town, visit Montmartre. 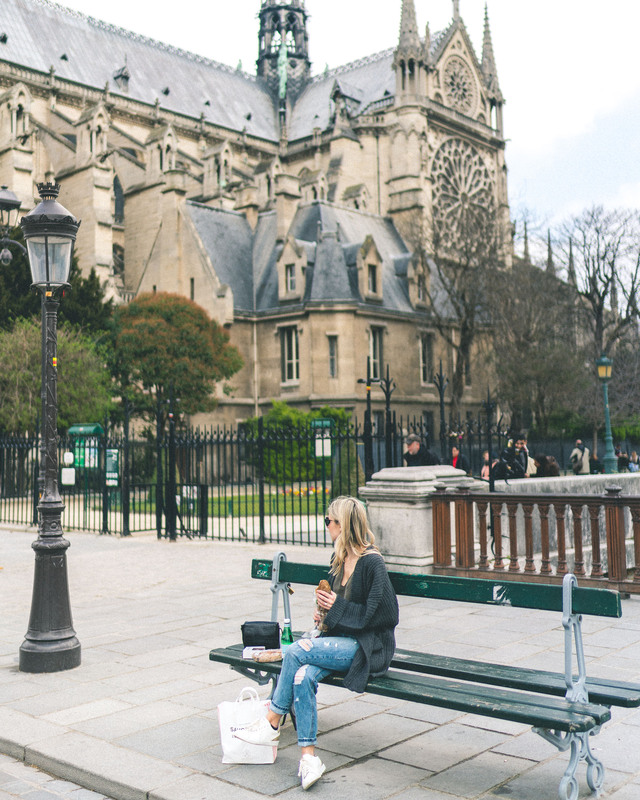 I recommend starting at Sacré-Cœur and skipping the first tourist-heavy street — you’ll be rewarded with tucked away parks and cafés. Tuileries Garden – situated right next to The Louvre, this garden is beautiful in spring and summer and the ideal place to spend an afternoon. 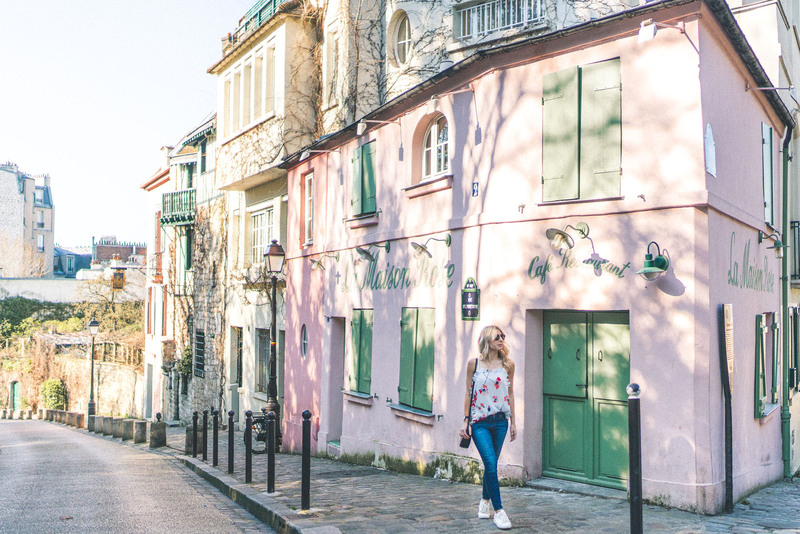 Rue Crémieux – this street is lined with pastel-colored English houses that are ideal for a photo opp. 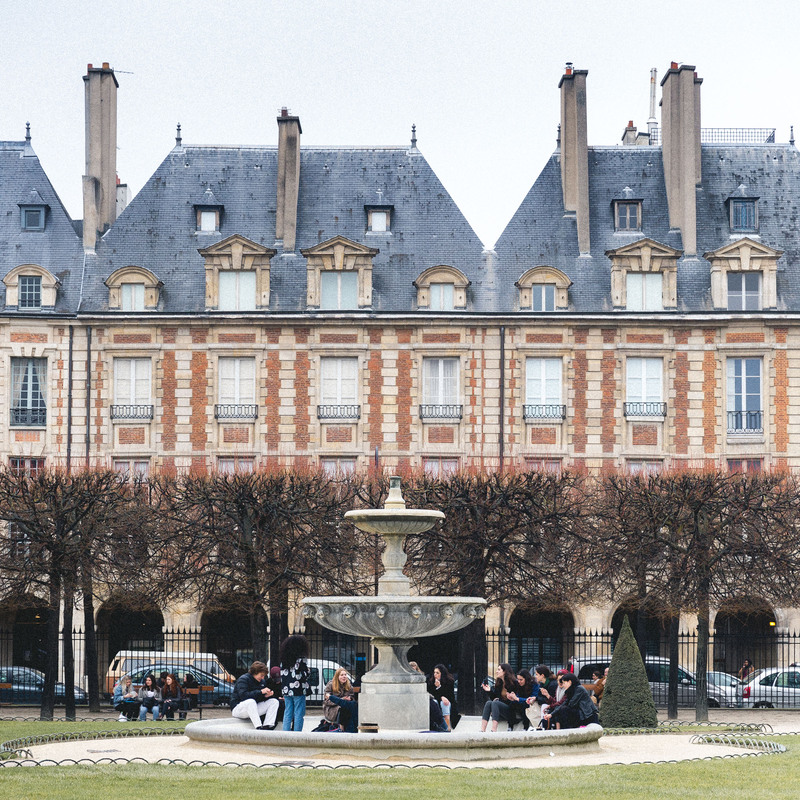 Place des Vosges – when the sun is out, you’ll find locals walking their dogs, picnicking, and dining at nearby restaurants around this park. Arc De Triomphe – located at the end of the Champs-Élysées, the Arc De Triomphe has one of my favorite city views overlooking the Parisian rooftops and the Eiffel Tower. 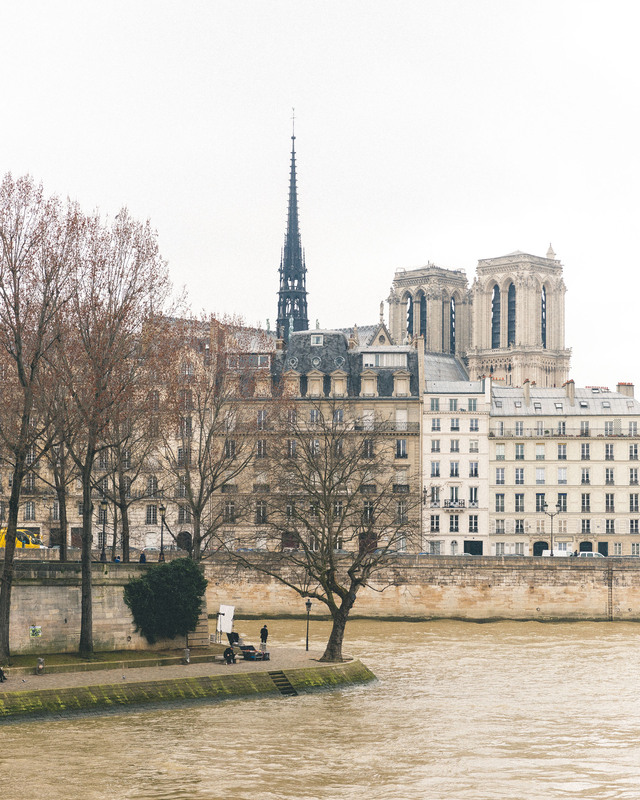 Île de la Cité – once you’ve had your fill of Notre Dame, I suggest winding your way behind it to explore the Île de la Cité, which features picturesque side streets and buildings. 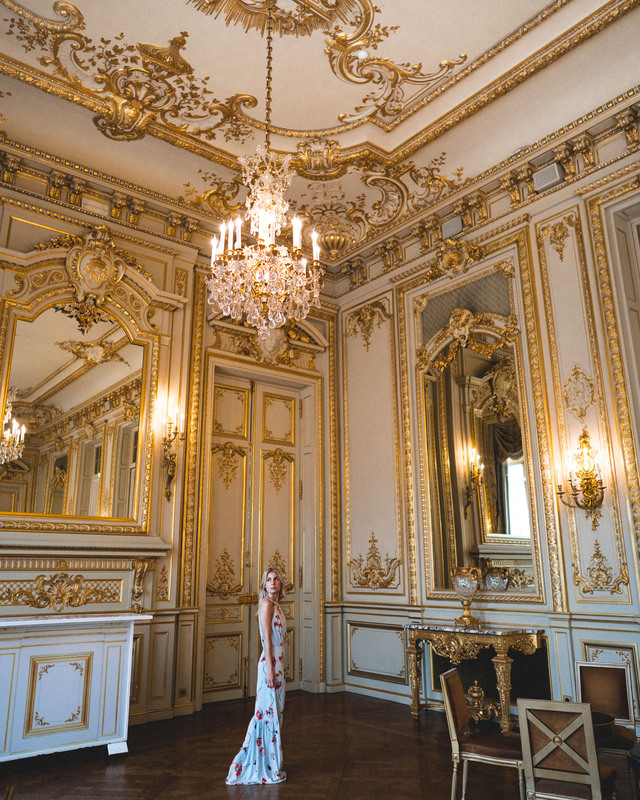 Palace of Versailles – the gardens are my favorite, but the palace is equally breathtaking. Prepare to spend at least a few hours here exploring the grounds! Visit the Museums – to name a few: The Louvre, Petit Palais, Musee Rodin, Musée d’Orsay. No matter what your taste, you’ll have plenty of options to choose from. 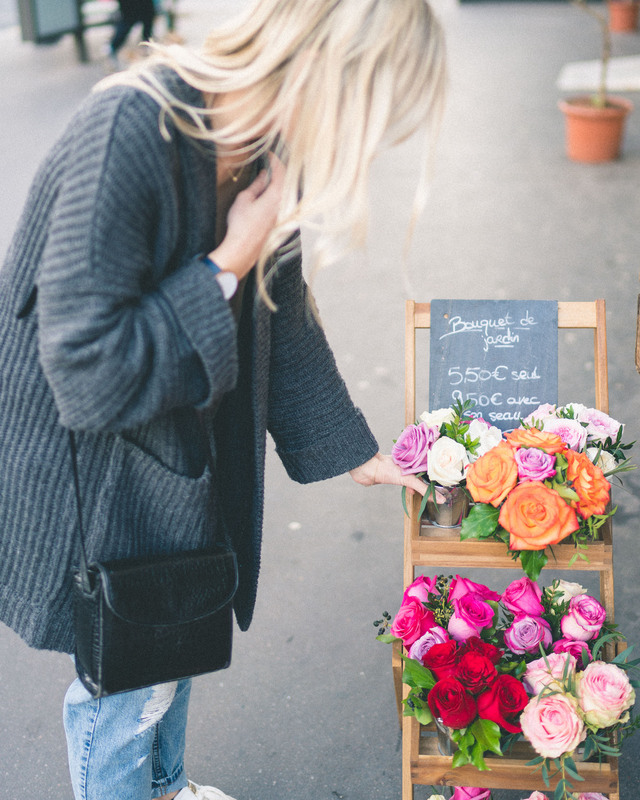 Go shopping – my favorite spots include: Le Marais for boutiques and French clothing brands (start from Rue de Rosiers), above the Forum Des Halles (head up Rue Montorgueil and around for local gift shops), and the Galeries Lafayette for designer brands. 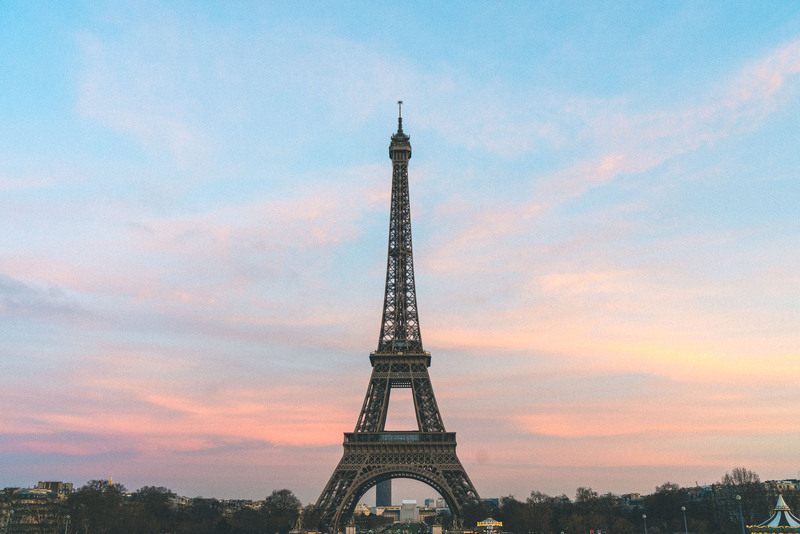 Picnic at the Eiffel Tower – I recommend stopping at a local bakery to pick up some savory and sweet treats, and spending a late afternoon lounging on the grass. Notre Dame de Paris – Paris’ most famous cathedral is a beautiful demonstration of gothic architecture. Admission is free, but I’d recommend arriving early to avoid the line if you want to go inside. 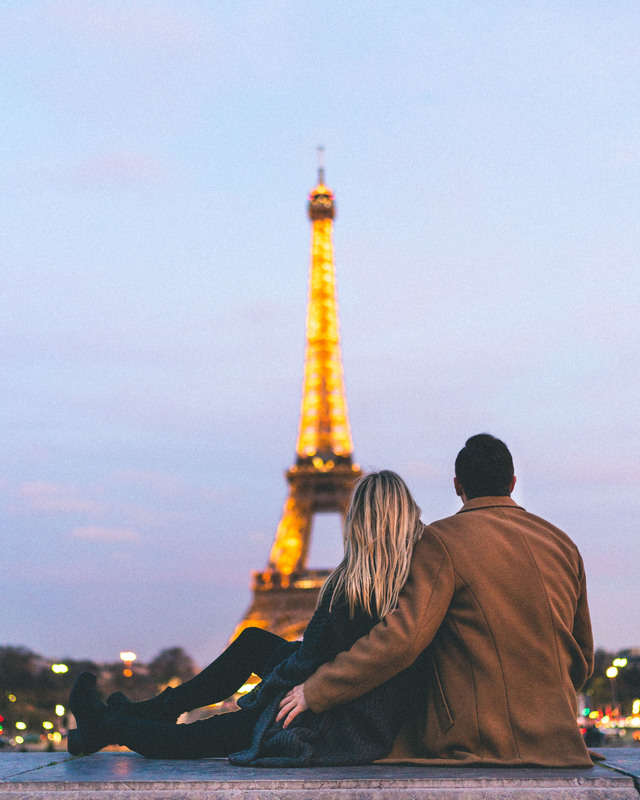 Walk along the River Seine – with a partner, this walk is ultra-romantic and has great views of the city. Visit Shakespeare and Company – this old bookstore opened in 1951. Its story is unique: the shop is famous for offering a bed to any aspiring writers in exchange for working at the bookshop. Explore Père Lachaise Cemetery – Jim Morrison, Edith Piaf, and Oscar Wilde are all buried here, among other famous names. Relax at a café – no one will think twice if you post up at a local restaurant with a book and coffee to people-watch for the afternoon. A cozy sweater – you’ll want something comfortable to throw on if the temperature drops. Your favorite fashion-forward outfit – ideally, bring something that will transition from day to night. Heels and sneakers – Paris is the perfect excuse to be practical and fashionable. You’ll walk a lot, so pack accordingly! There’s so much to see and do in Paris. 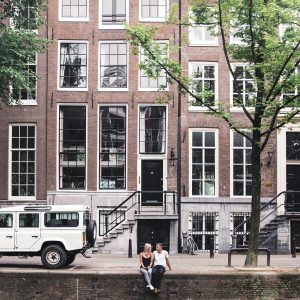 I hope this guide helps check off some tasty dishes and beautiful neighborhoods on your list! Have you been to Paris? 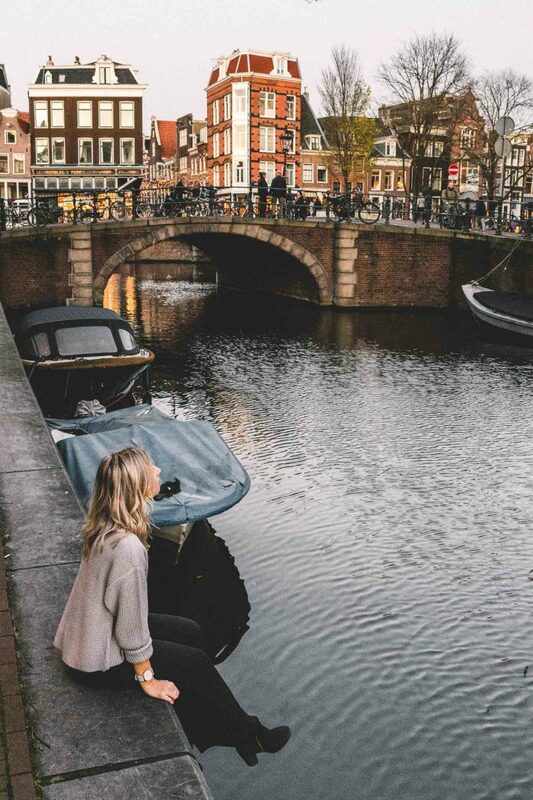 We’d love to know your must-see spots. This post is fantastic!! I’ll definitely be using this for my trip in September! Are there any affordable shops/boutiques at Le Marais and the Forum Des Halles? I’m really looking forward to shopping when I go but I’ve heard it can be expensive. 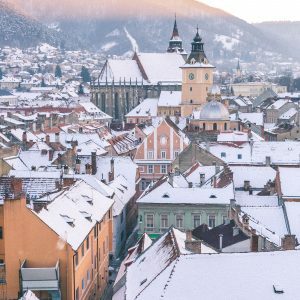 I’d love some recommendations for great, inexpensive shops to go to! Thanks so much Rachel! There are a lot of boutiques to visit in Le Marais so you’ll definitely have plenty of options. I found a couple shops that I found to be more reasonable (to be honest, don’t remember the names) but I know what you mean about things being a bit pricey. I would recommend turning down side streets as much as you can, there are definitely less brand names there. 🙂 I also loved the gift shops around Rue Montorgueil. Have fun in Eureka! Billy and I will be there in one month at the Basin. We have done the Cresecent Ghost Tour and it's awesome! Happy holidays and Merry Chtmariss!! I have been going to Hotel des Grandes Ecoles for almost 20 years and it is wonderful. I always go to the hammam at the Grande Mosque de Paris. And tango at the Quai Tino Rossi in summer. To Rachel: I used to find lots of fashionable bargains in the Marais, but I’m not sure it’s still the case. You might have to go to some of the newly hip neighborhoods to find good deals. Thank you both for the recommendations! I love this!! Your pictures are stunning. Chez Janou is my favorite restaurant in the world – we have it on our guide too! 😉 thank you for sharing. Hi! I’m so happy you posted this. I’m going to Paris next week for 5 days!! Your guide is SOOO helpful. 🙂 Thanks. I’m so glad! Thanks for the love. 🙂 Enjoy Paris! 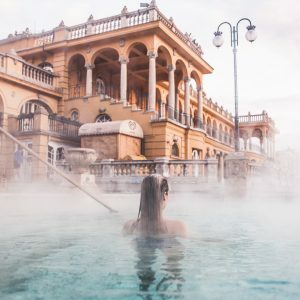 I’m going to Paris in a month and just shared your guide with my friends to help us plan our time. Thanks for your tips! ???? WHAT AIR BNB DID YOU STAY IN?